Found 65 file extension associations related to Visual C++ and 55 file formats developed specifically for use with Visual C++. 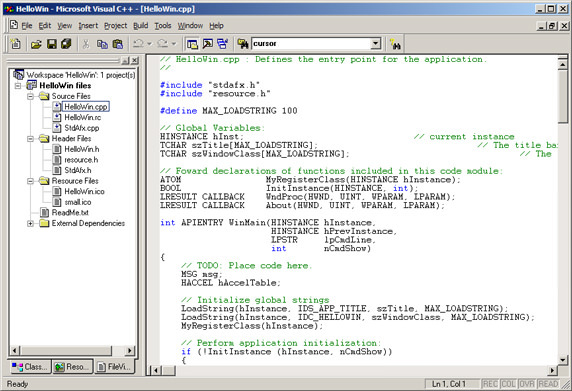 Visual C++ provides a powerful and flexible development environment for creating Microsoft Windows–based and Microsoft .NET–based applications. It also enables developers to build Web applications, smart-client Windows-based applications, and solutions for thin-client and smart-client mobile devices. If you need more information please contact the developers of Visual C++ (Microsoft Corporation), or check out their product website.